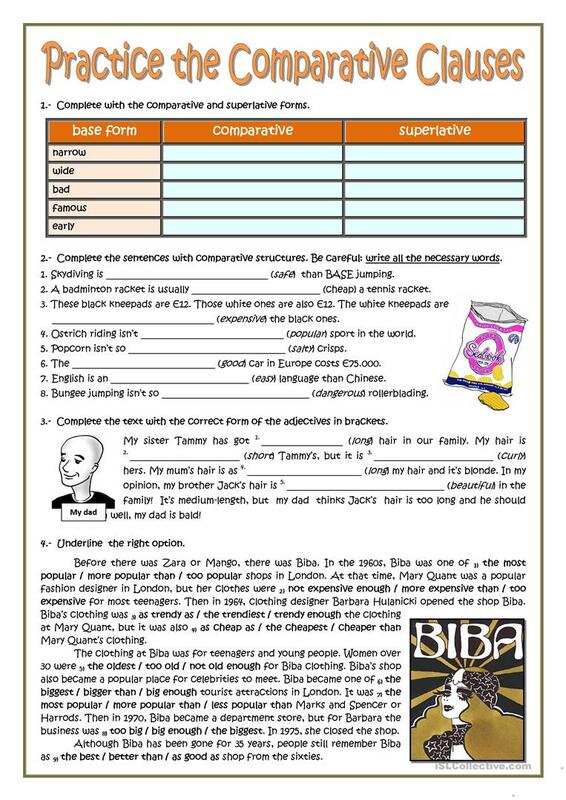 Four exercises to revise the comparative adjectives. The first exercise practices the comparative and superlative forms. Then the adjectives are written in their right form in sentences. Finallly, exercises 3 and 4 practise the comparison in passages with context. The present downloadable teaching material is recommended for high school students and adults at Pre-intermediate (A2) level. It is aimed at revising Comparison (comparative and superlative) in English, and is a valuable material for strengthening your students' Reading skills. It focuses on the topic and words of Describing people.